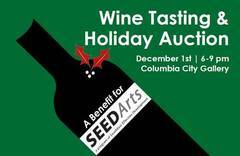 SEEDArts is hosting its annual Wine Tasting & Holiday Auction on Thursday, December 1 from 6-9 pm at the Columbia City Gallery, 4864 Rainier Ave S.
The event features Washington wines from select boutique wineries from our local region, a silent auction of unique experiences, such as a trip to Disneyland, handmade quilts, an airplane excursion, wonderful art & jewelry and a buffet of Northwest foods. We'll raffle a half case of wine to one lucky winner. Tickets to the event are $30 per person or $55 a couple at BrownPaperTickets, or call 760-4286 with credit card information. We require advance purchase. 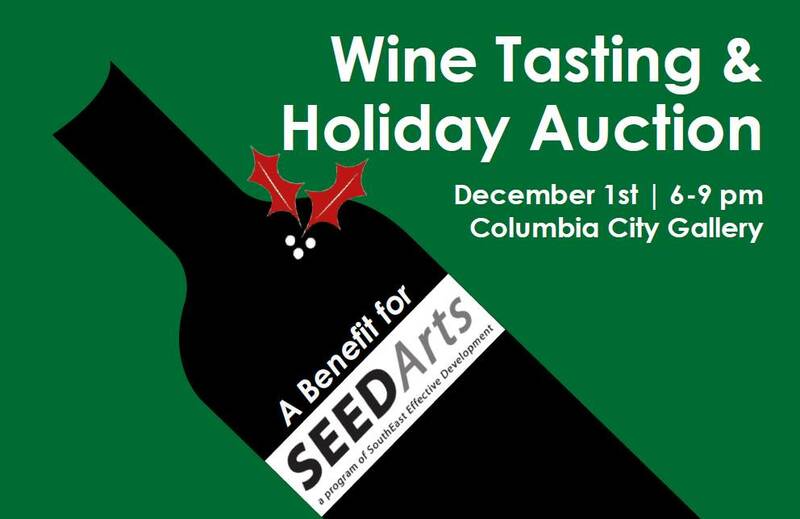 This event will support SEEDArts with its 34-year-old, highly successful visual, performing and public arts programs. These programs serve over 10,000 people each year and offer safe and creative opportunities for local families to become involved with arts and their community.